It’s important to be prepared in the event of a fire or life safety emergency with properly functioning and up to date fire and safety supplies. First Response Extinguishers can help! Reach out today to schedule a consultation. In the event of a fire, don’t risk causing more damage by using the wrong extinguisher. 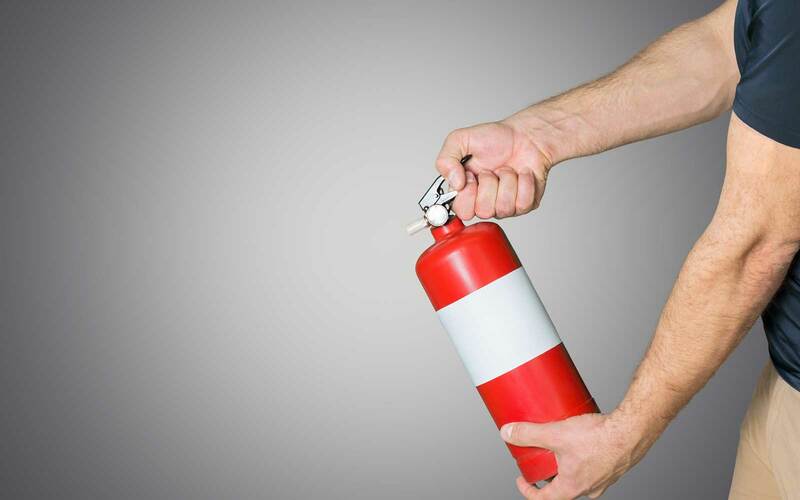 Did you know that there are multiple different classes of fire extinguishers, each made for a different type of fire? Additionally, Halon and CO2 extinguishers are specialty extinguishers filled with gas instead of foam. They are most often used to put out fires on valuable electrical equipment, like computer servers. First Response Extinguishers will provide and install the correct extinguishers in the safest legally compliant location. The NFPA requires proper documentation of recurring fire extinguisher inspections. And although this inspection can be managed by a designated employee of your business, First Response Extinguishers makes this process easier with our inspection service, where we ensure that in the event you need it, the extinguisher is working and well maintained by a certified professional. 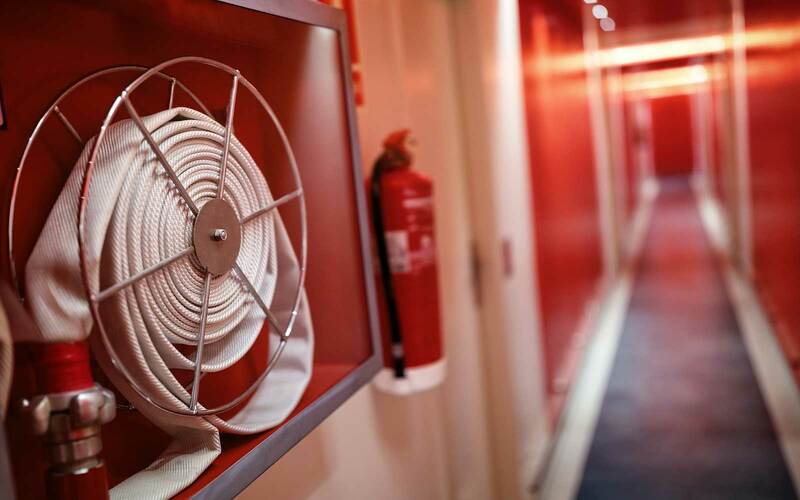 With our inspection service, we will schedule our technician for a monthly visit to thoroughly inspect and sign off on each extinguisher in your building. Not only this, we’ll make record keeping as painless as possible by sending an electronic version of each inspection for easy storage. There are two types of extinguisher maintenance that must be completed by a certified professional at different intervals. This includes annual maintenance and six-year maintenance. 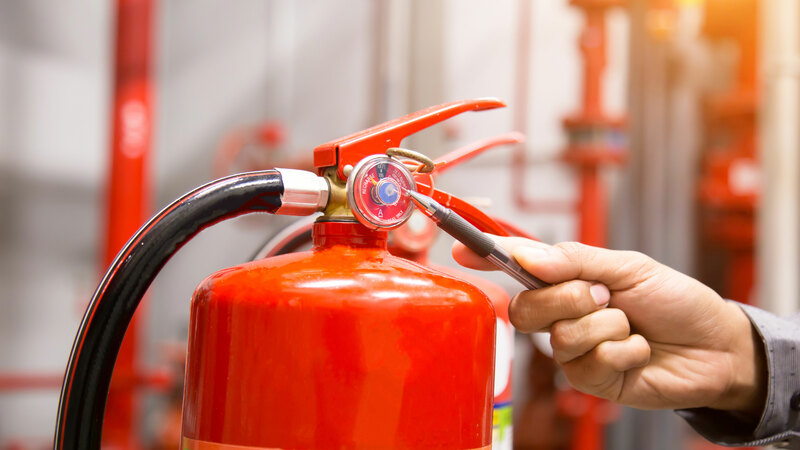 Annual fire extinguisher maintenance is a thorough examination and repair of your building’s extinguishers, where a technician will also attach a new tag to each extinguisher with the month and year the maintenance was performed and the company who performed the inspection. Six-year maintenance involves emptying stored pressure fire extinguishers and performing an internal and external inspection of the extinguisher. This mean the extinguisher is broken down so the parts inside can be inspected, cleaned and/or replaced. Then they are refilled, cleaned and tagged with a current date. Again, this maintenance must be performed by an approved extinguisher servicing company. Although your extinguishers are inspected monthly and tested and maintained annually, over time they need a more thorough examination to ensure each and every part is working exactly as it should be, both internally and externally. This is called Hydrostatic Testing, and must be completed every 5 or 12 years, depending on the fire extinguisher. Basically, hydrostatic testing involves pressure testing the extinguisher to test for any leaks or flaws in the structure of the extinguisher. Because this testing requires special training and equipment, it needs to be performed by an approved extinguisher service company. We provide first aid kits for businesses to have on hand should an emergency arise. Not only this, but we will check the kits annually to ensure that all supplies remain up-to-date. You can buy one of our OSHA-approved workplace kits, or work with us to customize your own bulk First Aid kit. We will work with you to make sure you have all the supplies you need. 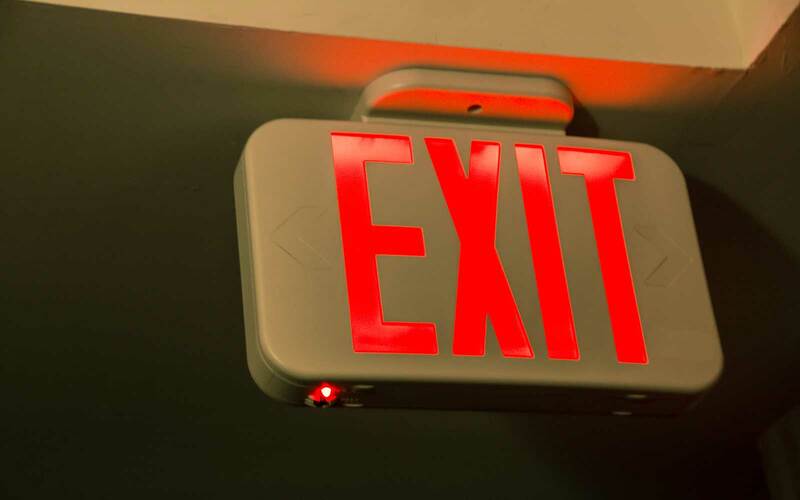 Fire code for businesses in Oregon requires that there be clearly marked exit signs near any secondary exits for the building, with all bulbs in every sign illuminated when the building is occupied. Our First Response technician can install these signs for you, and/or check to make sure that your building’s signs are working properly. Our Guarantee Is Complete Client Satisfaction. As a fellow local business, we understand concepts of return on investment, operational effectiveness and premise liability. For more information, contact First Response today for a complimentary security analysis of your commercial property. We look forward to discussing your wide range of security options.